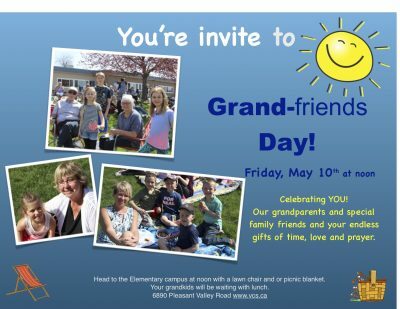 Many of our VCS Grandparents and family friends (grand-friends) play an active role in supporting your grandchildren’s education at VCS – picking up sick kids for working parents, volunteering, prayer, encouragement and financial support. This is the day we set aside to honour the role they play in the lives of your children. VCS parents, you will be receiving 2 important emails; one will be instructions for the day and the other is the invitation to share. Please remember to send your invite as VCS does not have the contact information for your guests! 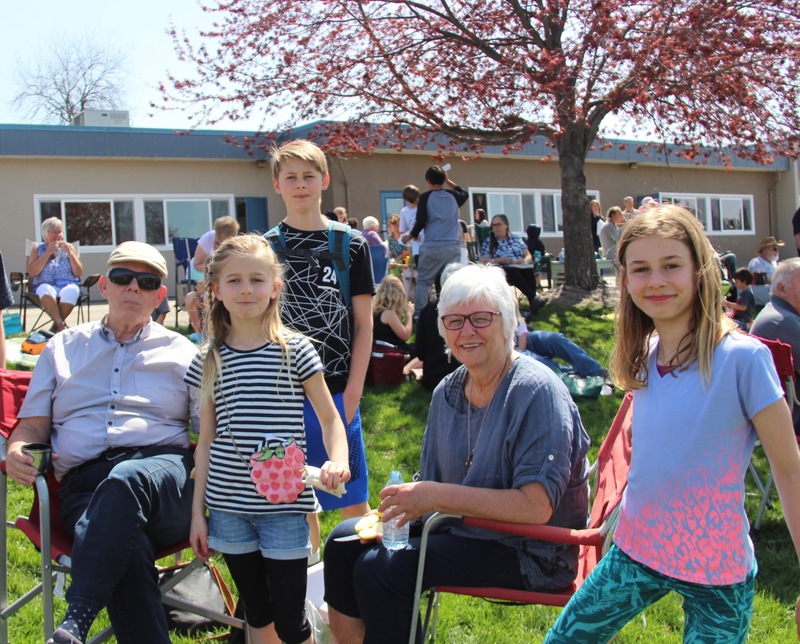 12:00 pm Grandparents and friends arrive for a picnic lunch with their grandchildren. 12:45 pm Gym opens for all VCS Grand-friends for refreshments.